This plugin was made just for fun, but I hope it will find some practical application, perhaps helping people with vision impairment. It uses Microsoft TTS engine (tested with Windows 7 EN, it seems to be installed and active by default) to add speaking ringtone to softphone. Ring text is fixed at the moment ("Incoming call" or "Incoming call from" + either number description or calling number) but should be easy to modify by compiling plugin. Since speaking would take long time for long numbers it is limited to 4 digit or shorter numbers if description (phone book entry) was not found. It seems that Windows comes with only single voice installed. Probably only one useful option is selecting output audio device for TTS. Ring text is played in loop. Ring playing is blocking thus answering or rejecting call would be delayed by the length of message (might create problem with long contact descriptions). 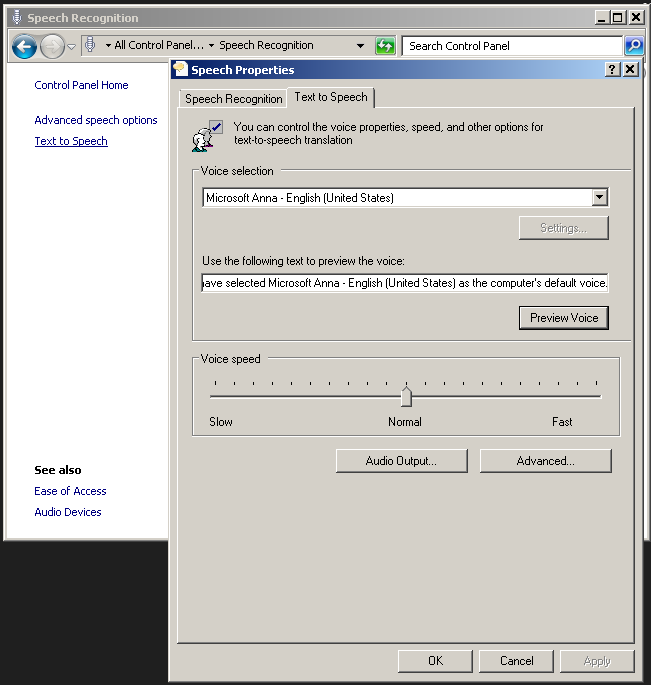 Speech is played using default audio device (may be different than device selected in softphone as output for ring or output for conversation). On my PC (C2D laptop) minor hiccup in regular ring (by default not replaced but played in parallel with plugin speech) is noticeable when softphone rings for the first time - probably caused by text-to-speech engine loading.